Yakima River Hi-way bridge, R.R Bridge to Right. On the front of the image text reads: ""Looking east from Richland toward ""Y""; Rob Johnson Christian 10-5."" 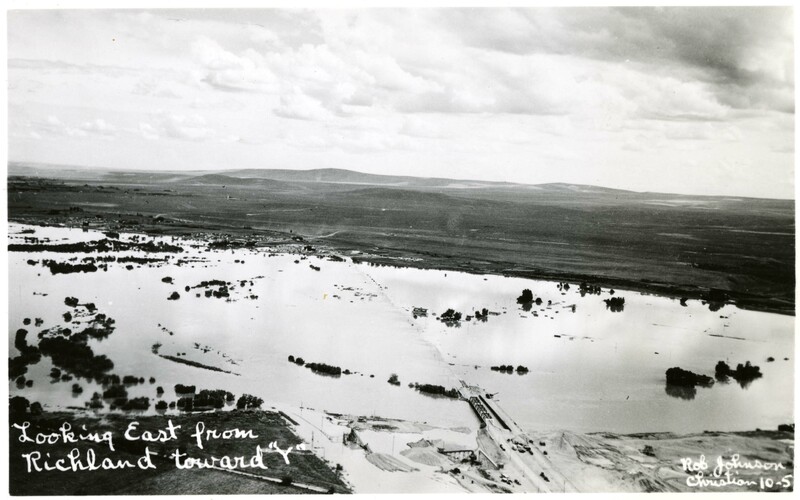 On the back of the image text reads: ""1948 Flood Yakima River Hi-Way Bridge R.R. Bridge to right""." 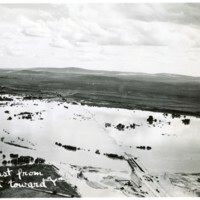 Rob Johnson, “1948 Flood - Looking East from Richland Toward "Y" ,” Hanford History Project, accessed April 21, 2019, http://hanfordhistory.com/items/show/1029.